Winter is here, and HBO decided to heat things up Sunday night during a commercial break for Westworld by airing its “Coming in 2017” preview, which included three short clips from the upcoming seventh season of Game of Thrones. While the full trailer has yet to be released, fans were able to quickly capture screenshots of the clips, and naturally, speculation about the newest season ensued, starting on Reddit. When we last left the Seven Kingdoms, Tommen had jumped to his death after watching half of Kings Landing blow up, Jon Snow became King of the North and we learned who his real parents are, Daenerys finally set sail for Westeros and Cercei is about to begin her reign as Queen of the Iron Throne, which we are sure will be a complete hot mess. 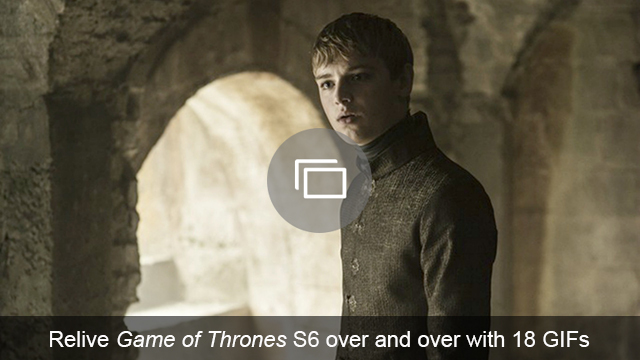 The preview included three super-short clips of Jon Snow, Sansa and Arya Stark, looking solemn (and cold, as usual). Fans were pleased to see actress Sophie Turner, who plays Sansa, still rocking the character’s signature red locks (now a wig), as she dyed her hair blond several months ago. When we last left Sansa, she was standing up for women everywhere as she fended off advances from the creepy Petyr Baelish. The clip of Arya is one of her on horseback wearing a leather getup similar to what her family wears in the North. Is this a sign she will make it back to Winterfell for a Stark reunion? We hope so, seeing as she spent an unnecessarily long time training with the faceless man. Oh, Jon Snow, let me take away all your problems you sad, beautiful King of the North. 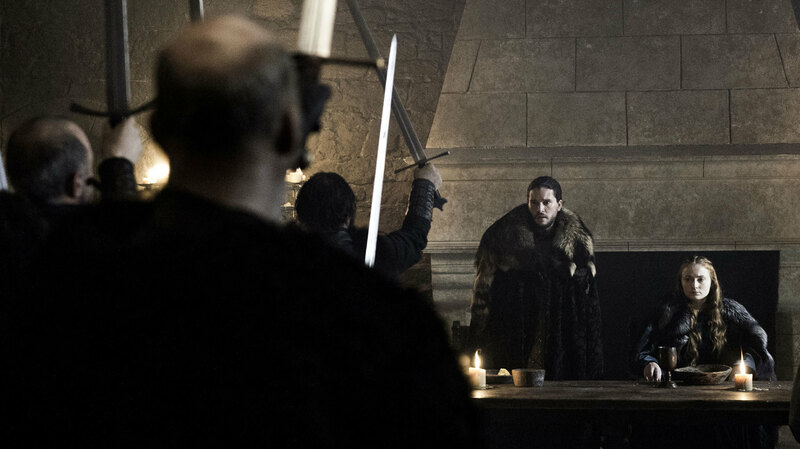 In his brief clip, Jon Snow is seen with his usual face on, the face of an innocent child who has repeatedly watched his family and friends get murdered. Will he find out about his true heritage in Season 7? Will he reunite with Bran and Arya? Will all the kingdoms unite to defeat the White Walkers?? So many questions and literally zero answers. A lot of stuff is about to go down when the new season airs this spring, but while you wait, feel free to watch the three-second clip over and over until the real trailer is released. What are your predictions for Season 7? Let us know in the comments.